The instructions are for drafting your own personalised pattern for a circular skirt. 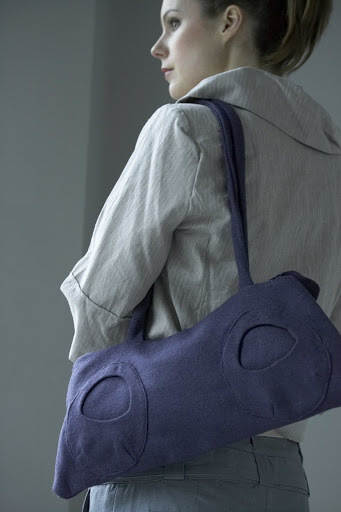 Large wool handbag with outside and inside pockets. I’ve used the sample bag so much. I love it! I’ll be stocking some of the fabrics used in the book projects and some kits for the smaller pieces. I’ll post more about that when the book is published, but drop me a line at info@ruthsinger.com and I’ll put you on the mailing list to let you know when that happens.